Universities should be a forum for the free exchange of ideas. Instead, they are becoming places where speech is censored, sometimes forcefully, by students. Recent incidents, in which conservative thought-leaders were prevented from speaking at college campuses by violent student protests, loom across higher education like so many tips of one iceberg. They are indicative of a widely-shared perspective among young adults that there are exceptions to the rule of free speech. What is behind this urge to shut down speech that is viewed as offensive? 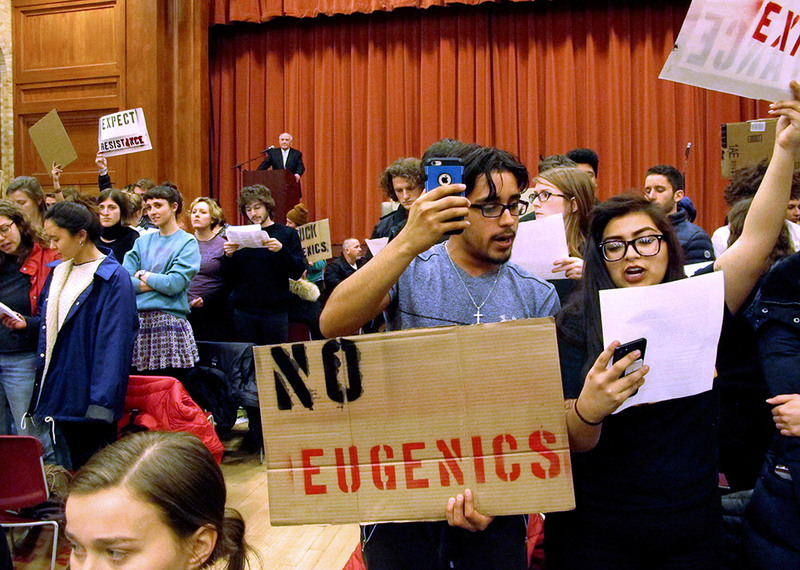 Why do young people today appear to have less tolerance for free speech? As incidents of campus violence and canceled lectures become more frequent, it’s more important than ever to understand this issue and move collectively to address it. In a new whitepaper, Newseum President and CEO Jeffrey Herbst argues that young generations have developed an “alternate understanding” of the First Amendment, with more students believing that it should not protect offensive speech – particularly when the offense is directed at groups that are defined in terms of race, ethnicity, gender or sexual orientation. Herbst identifies a surprising source for this new understanding of our basic rights, and names factors in students’ development that could reinforce it as students move from high school to college. Citing research from the Knight Foundation, the Newseum Institute, PEN America, the Pew Research Center and other sources, Herbst paints a comprehensive picture of student free expression issues that goes beyond episodic analysis of campus speech incidents. He then provides a set of recommendations for increasing student tolerance of offensive speech, and helping them become stronger advocates for free expression. Now, when the younger generations make up the largest age demographic in America (Millennials now outnumber Boomers), it is more critical than ever to educate students on the First Amendment and the full rights it affords. The danger in not doing so, writes Herbst, would lead to nothing less than restrictions on our core freedoms. Generous support for this project has been provided by the John S. and James L. Knight Foundation. This entry was posted in News and tagged First Amendment, free speech, Speech Commentary, student expression, student speech by Stephanie Castellano. Bookmark the permalink.